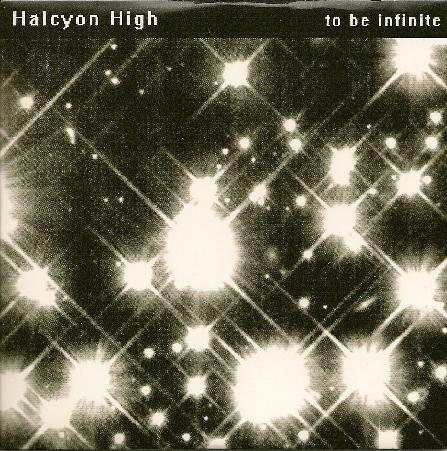 Halcyon High - "To Be Infinite"
Halcyon High is basically a one-man project, artist, etc. from Portland, Oregon - whose sole member on ' To Be Infinite' is Roger Anderson. Roger is responsible for the guitar, electronic sound effects, loops, hypnotic drone and this disc's occasional vocals. The first two tracks - "Close Your Eyes, See The Light" and "Last Breath" - very much reminds me of Spacemen 3. "Iris" is an eight-minute expanded shoegazing piece (possibly the best tune on this CD), and "The Aftermath And Damage Done" is a well played airy dream-pop song. I was sort of caught off guard by Halcyon High's great indie post-rock gem, a Bardo Pond cover of "Tommy Gun Angel" (off their ' Lapsed' CD), and this all too brief journey comes to an end with the pleasant sounding "Soul Slides Away". Now, I'm sort of wondering how the second CD will sound and come across. Recommended for fans of Spiritualized, Flying Saucer Attack, Pell Mell, Sigur Ros, Spectrum, Helios Sequence and maybe Kinski. Make sure to check out the My Space site as well as the several cool (some live) videos that are posted on You Tube. For more information you can visit the Halcyon High web site at: http://www.halcyonhigh.com. Visit the Vibraphone Records web site at: http://www.vibraphonerecords.com.